Submitted by Jason Horton on Aug. 30, 2017.. 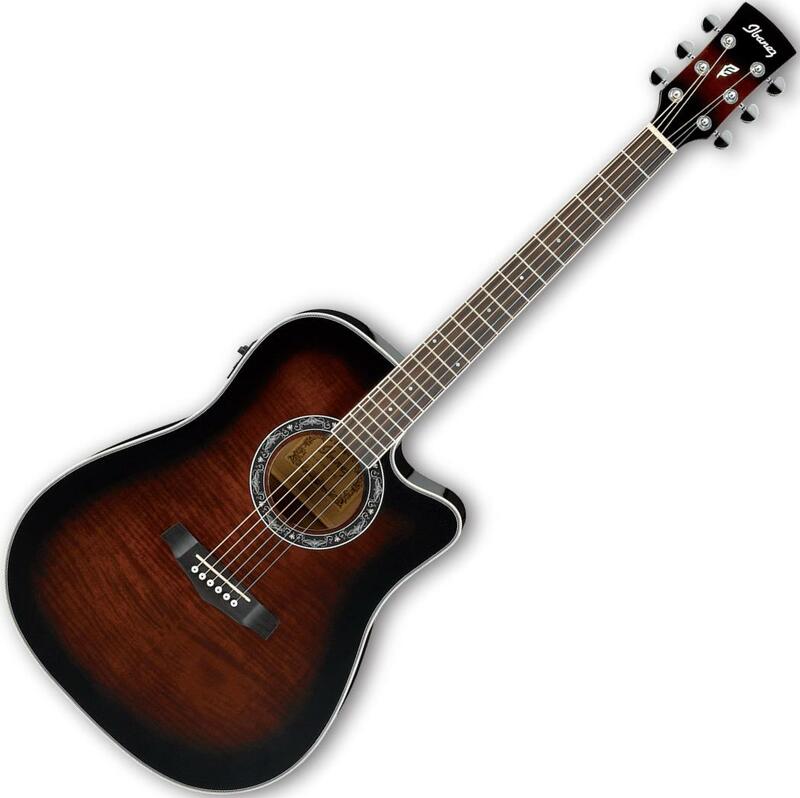 The Ibanez PF28ECE has a full-sized dreadnought body with a cutaway and Fishman electronics and is considered one of the best value guitars in this price range by many reviewers. Its looks and sound both unplugged and plugged in were spoken highly of in many customer reviews. The action and its playability were also mentioned positively several times. There were no consistently reported negatives although one person didn't like where the controls for the electronics were positioned. A number of owners of this guitar say it offers the best value in the sub-$300 price range, however there are more highly rated options which you will find in our guide to The Best Acoustic Electric Guitars.